Today wap5 is back again with a latest trick to get unlimited free internet for vodafone users. This trick is working fine in kerala try in your state. • 3 month old 3G activated sim. 1.First make sure you have a 3 months old sim and 0 balance so that you can take a loan. 2.Then Take 5 rs or 10 rs loan from your Vodafone Sim. 3.Then remove it for 48 hrs from mobile. After 48 hrs your balance will become negative. 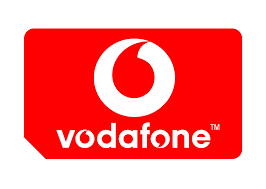 4.Vodafone do not cap speed in negative balance so you can use free internet. 5.In some states like kerela, it is working without 3g plan. But Your balance must be negative to use this trick. 6.Confirmed working in kerela without 3g plan. and with 3g FUP plan in Haryana sim only. Note :- This trick is confirmed working in kerala give it a try in your state.